There is so much buzz about blogging out there. So have you started wondering how to start a lifestyle blog? Are you wondering if you could be a blogger? 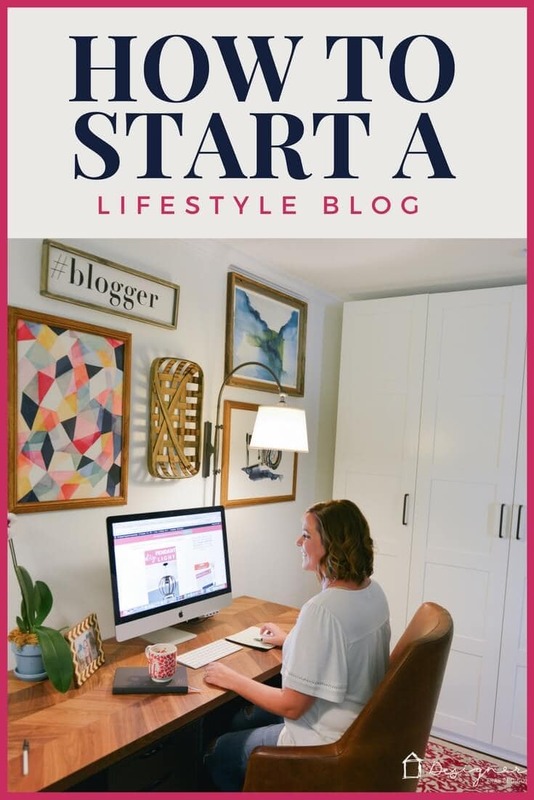 The fact is that anyone can start a lifestyle blog, even if they aren't “techy.” This post explains exactly what you need to do. I created this blog of mine at the end of 2013 on a whim. I had no experience whatsoever and made plenty of mistakes along the way. Lucky for you, this how to start a lifestyle blog walks you through exactly what to do. If you are wondering why in the world people are asking me for blogging advice, I suppose I should give you a bit of background :) I started my blog as a hobby, but less than 3 years later I gave up my partnership at my law firm to blog full-time and have more than replaced my former income as a lawyer. And the vast majority of my blogging income comes from my own niche (DIY and home decor). I am not like most bloggers who earn the majority of their income from promoting products to other bloggers. You can sign up HERE for my blogging newsletter to get my detailed income and expense reports every month. You can also read more about my blogging journey and why you can trust my expertise in this post. I'm going to do my best to answer all of your questions about how to start a lifestyle blog in this post, so it's probably going to be long, but I promise it will be worth it! First, you need to decide what topic you are going to blog about. Next, you need to choose your blogging platform (which is really the “software” that your blog is going to run on). Then you need to find a host–that is what gets you live on the internet. Once you have chosen a host, you will set up your hosting and then you can start designing and using your blog. Don't worry. I go through each step in detail below. STEP 1: Decide what topic you are going to blog about. I assume because you are here that you are interested in being a lifestyle blogger of some sort. Lifestyle blogging includes lots of different topics, including DIY and home decor (that's what I primarily blog about), fashion, beauty, and even parenting. Some lifestyle bloggers include all of those topics on their blogs. Others, like me, focus on just a few. I recommend blogging only about topics that you are SUPER passionate about and that you would blog about even if you never made a penny from your blog. Choose the things that you would talk about to friends and family until you are blue in the face. First, let’s make sure we are on the same page as we discuss this topic. There are two WordPress versions: the self-hosted (wordpress.org) and hosted (wordpress.com). The best analogy I have read is that WordPress.com is like renting a house, which is similar to Blogger (also a hosted blog platform). WordPress.org is like owning a house. Just like owning a house in real life, using a self-hosted WordPress site has some additional expense and responsibility, but I think it’s well worth it. When I refer to WordPress in this chapter, I am referring to the self-hosted, “house owning” kind. It’s tempting to choose one of the numerous free blogging platforms like WordPress.com or Blogger. I get it. I mean, it takes a while before you start earning money from your blog, so free can seem like the best option. But free has a lot of downsides. With both Blogger and WordPress.com blogs, you give up a tremendous amount of control and future flexibility by using a free blogging platform. But most importantly, free blogging platforms limit your income potential. WordPress.com inhibits your ability to utilize display ads and various widgets, which is a huge downside. Blogger blogs can run ads, but they tend to earn less ad revenue than blogs of the same size that are self-hosted on WordPress.org. Now, those issues may not be a big deal at all when you are just getting started, but they will likely become big problems as your blog grows, and I can tell you from experience that switching platforms once your blog is established is not a fun or inexpensive process. Also, not everyone realizes that if you use Blogger, Google could stop hosting your blog (in other words, shut it down) at any time for any reason. Yes, you read that correctly. If you work as hard on your blog as I did (and still do), the notion of anyone else being able to shut it down is NOT OKAY. I was not comfortable with that at all. With a self-hosted WordPress site, you are hosting your own content and the only person that can shut it down is you. Period. Additionally, for better or for worse, it seems to be largely accepted (with a few notable exceptions) that “real” bloggers who are in it for the “long haul” are self-hosted on WordPress.org. So, if you are hoping to earn revenue with your blog, get sponsors, etc., starting a self-hosted WordPress blog is a great way to make a statement that you are serious about your blogging. Many bloggers are resistant to move to a self-hosted blog because of the expense. I made the move after I had been blogging for 2 months and was very hesitant to spend money on my blog before I was making money. I am so glad I did, and frankly, I wish I had started on a self-hosted platform—it would have saved me lots of time and worry. Bottom line. I HIGHLY recommend using WordPress.org as your blogging platform. STEP 3: Decide on a host. If you are still reading, I assume it's because you have decided to learn from my mistakes and you are inclined to use WordPress.org as your blogging platform. You will not regret it. But WordPress is just the software that will run your blog (kind of like Windows is the operating system on PCs). But WordPress won't get your blog live on the internet. You need a “host” to get your blog live on the internet for other people to be able to read and see it. Don't worry. It's not as scary as it sounds. And it can be super affordable, too. There are a lot of different hosts to choose from. I chose Bluehost as my first host and had an excellent experience. 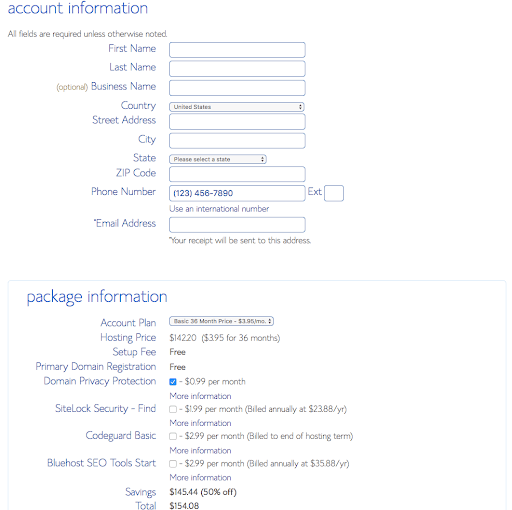 Bluehost is very, very affordable and starts at $3.95 per month for hosting. I added some additional options and wound up paying $12.00 per month, but I still found that to be incredibly reasonable and doable even when I wasn't earning any money from my blog. 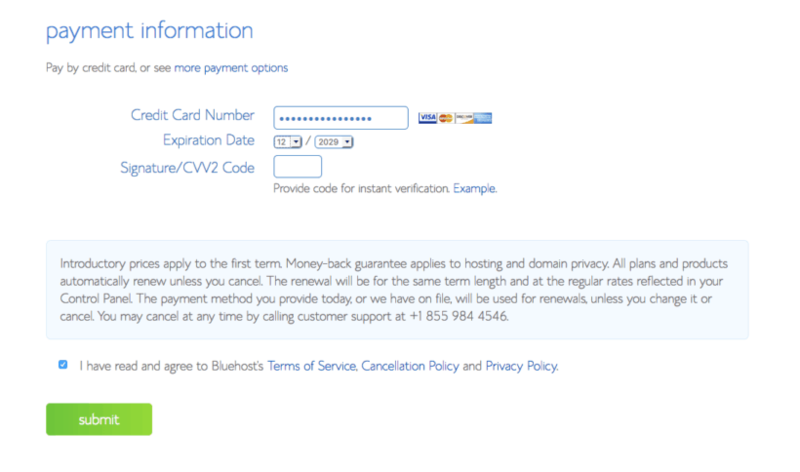 And, if you cancel within 30 days, you can get a full refund from Bluehost. I no longer use Bluehost for Designer Trapped in a Lawyer's Body, but that is because my heavy traffic level now requires managed hosting–it took a long time for me to build my traffic to that level! But I still use Bluehost to host my domain www.affiliatemarketingforbloggers.com and have been completely satisfied with that choice. 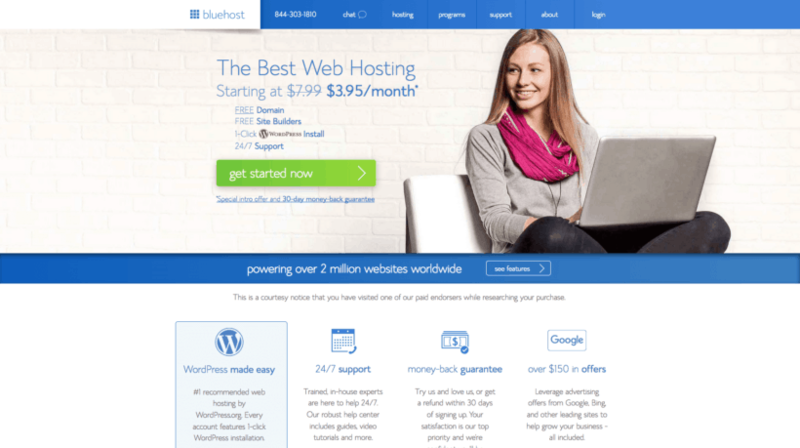 What follows are step-by-step instructions to set up your hosting with Bluehost below. If you choose to go with a different host, you can skip ahead to step 5 of this post. STEP 4: Set up your hosting. First let me say this… Don’t freak out when you see that there are 17 steps. 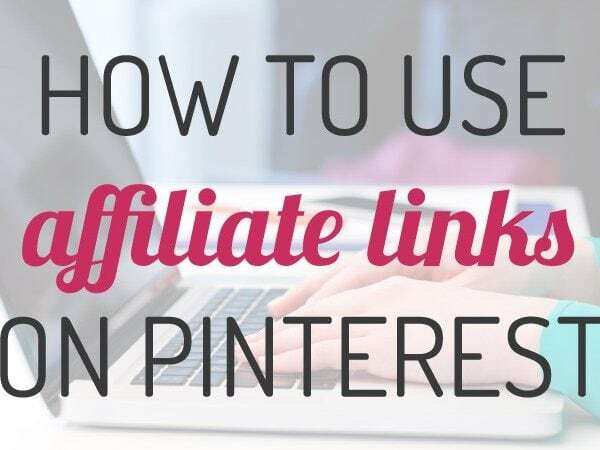 I only broke it down into so many steps to make it as easy to follow as possible! Also, if you get stuck at any point during the sign-up process, don't panic! Just contact Bluehost technical support. If you’re in the United States, just call 844-213-7846. They should be able to help you with whatever you are having trouble with. 1) Click here to go to Bluehost. Click the big green “Get Started Now” button. 2) Choose the plan that makes the most sense for you. The basic plan is the most affordable and is probably fine if you are just starting out, but as I mentioned before I added some features like domain privacy, and wound up paying about $12.00 per month. 3) Next, you need to decide on your domain name (designertrapped.com is my domain name). I recommend that you pick a domain name that relates to, or is exactly the same as your blog name. My blog name is so long that I shortened it for the domain name, but it's still closely related to my full blog name of Designer Trapped in a Lawyer's Body. I also strongly recommend choosing a domain that ends in .com (as opposed to .net or something else). Now, if you have already purchased a domain name from GoDaddy.com or some other source, you will enter it on the right where it says, “I have a domain name.” If you haven't already purchased a domain name, enter the domain name that you would like to use on the left where it says, “new domain.” Fingers crossed it's available. If it's not, keep brainstorming and checking the availability of other domain names that you like. 4) Enter your account and contact information and review the “package information” section. You get the cheapest monthly rate by selecting 36 months. 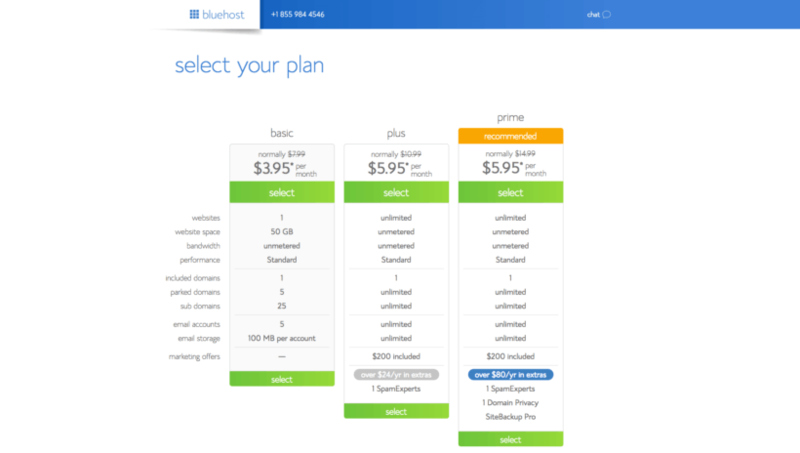 It’s important to note that Bluehost charges you for the full the 36 months up front–if that's too much out of pocket at once, you could choose the 12-month option, but the price per month increases some. Remember, you can cancel within 30 days for a full refund. Ignore the other services on this screen (like sitelock and domain privacy)–you can always add additional services later if you want to. 7) You should receive a CONGRATULATIONS screen! It may include some additional options you can purchase here, but again, I would skip any additional purchases at this point. Remember, you can always add stuff later if you want to. 8) Next you need to create your password. 10) Now that your password has been created, you can log into your account. Just click the blue “log in” button and choose the “hosting” option. 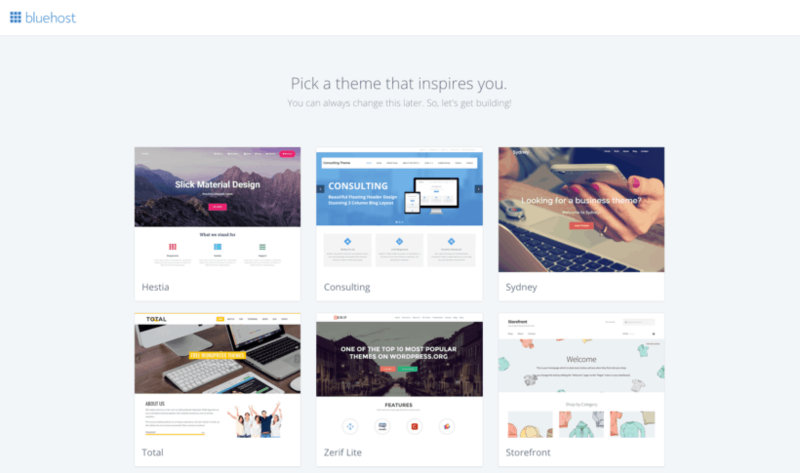 11) When your account opens for the first time, Bluehost will prompt you to pick a free theme. I would skip this and stick with the theme that comes preinstalled with WordPress. I talk about options for prettier themes at the end of this blog post. 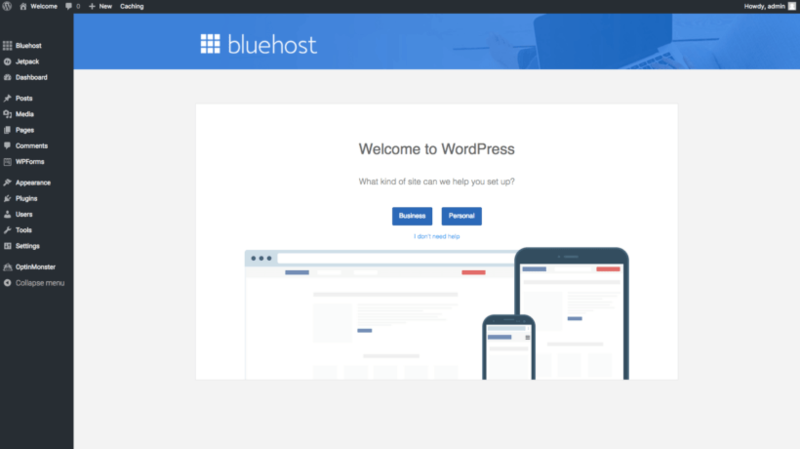 12) Bluehost will then install WordPress for you. You will see this screen when the installation is complete. 13) Click the blue “Start Building” button. I recommend choosing the “I don’t need help” option on this screen. 14) The time has finally come! You are now ready to design and start using your blog :) But you need to do a few more things first. They are quick and easy. First up, in the very bottom left corner of the screen (in the vertical black strip on the left of your screen) you should see the word “Users”. Hover your mouse over the word “Users” and click on “Add New.” Then fill out all of your information and change your “role” to “Administrator.” Don't forget to change your username to something you will remember. 15) Next, click the “show password” button. You can either set a new password or copy down the one that appears. 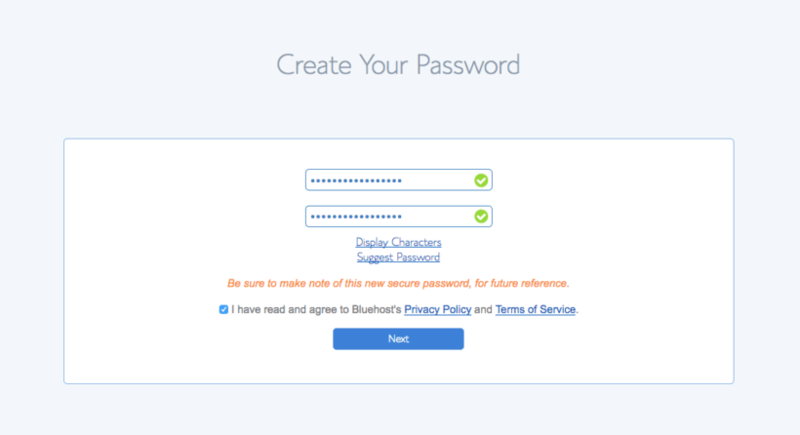 I strongly recommend that you choose a password that is different from your Bluehost login password. Again, I use Lastpass to generate secure passwords for me. Whatever you choose, be sure to keep a record of it in a safe place. 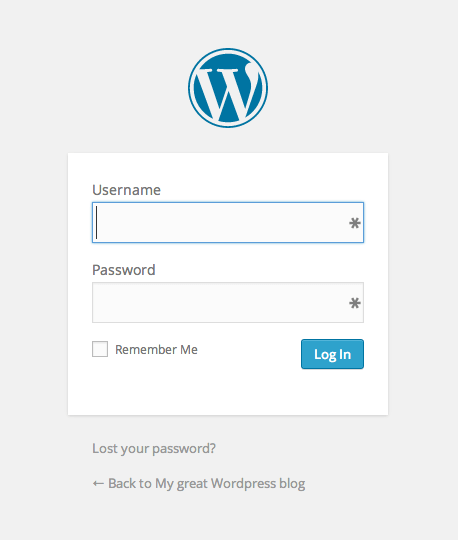 You will need this password every time you log in to your WordPress site. Once you have filled out all the information and have chosen (and made a note of) your password, click the blue “Add New User” button at the bottom of your screen. 16) Now, anytime you need to log in to your WordPress site, go to http://yourURLhere.com/wp-login.php. It will take you to a login screen that looks like what you see below. Enter your username and password. Every time you login, you will be taken to your WordPress dashboard. 17) Okay, I recommend doing one last thing before you start writing posts or choosing a theme for your blog! Go ahead and change your permalink structure before you publish a single post. Trust me on this. I changed mine after I had been blogging for a couple of years and it led to more than a few headaches and a pretty large bill from my SEO expert. To change your permalink structure, just hover your mouse over the word “Settings” on the black vertical strip on left of your screen. Then click on “Permalinks.” Then click the radio button beside “Post Name”. (You may notice that you have some different options than I do in your black menu bar on the left–don't worry about that–your options will change as you add different plugins, etc.)! Now that you know how to start a lifestyle blog, what's next? Now that you've come this far, you should strongly consider purchasing a solid framework and/or child theme for your lifestyle blog. I decided to purchase both when I moved to a self-hosted platform. Now, before I go any further, let me explain what a framework and child theme are for any of you that may not know. 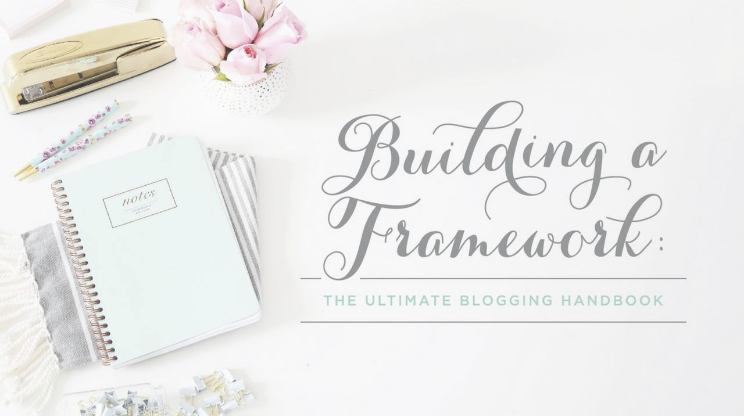 The framework is the foundation or inner workings of your blog. The theme is the pretty wrapping paper on the outside that gives your reader an aesthetically pleasing experience. I quickly chose the Genesis framework. Genesis is widely used among WordPress bloggers and for good reason; it is easy to use even for those people (like me) who are not very “techy.” The Genesis framework can be used alone, but it will only provide you with a generic look for your blog. That is where your child theme comes into play. Child themes work in conjunction with the Genesis framework to wrap your blog up in gorgeous wrapping paper. Your blog’s design elements, such as social media icons, featured image slideshow, etc., are included within your child theme, so you do not have to be a website designer or know a bunch of code to make you blog look the way you want it to. Purchasing a beautiful child theme is MUCH more economical than paying a designer to design your blog for you. You could certainly use a free theme, but I really wanted to step up my game and have a professional looking blog. So, after a lot of research, I initially purchased a premium theme from StudioPress for $99, which included the Genesis Framework and a child theme. Studiopress has loads of awesome child themes, all of which use the Genesis framework and are easy to customize. I think this is the best investment I have made as a blogger. My blog went from screaming “HEY! I am an unexperienced blogger with a generic theme” to “I am a unique, one-of-a-kind, professional blogger!” The choice of themes is huge, and you can view live demonstrations to help make your choice. Each theme also has step-by-step instructions for setting it up to look just like the demonstration, but you can also customize it (which is what I did). Initially, I chose the Lifestyle Pro Theme from StudioPress. I loved the Lifestyle Pro Theme for a while, but after about 6 months of using it, I wanted a bit of a sleeker look, so I moved to the Magazine Pro Theme. The new child them cost me less than $30, and it was so, so easy to switch themes. I have since discovered a new favorite source for child themes–Restored 316 Designs. I currently run the Captivating Theme on my blog and absolutely love it. It is easy to customize and the layout is one of the best I have seen for showcasing your best blog posts, categories and photos. I do not expect to switch themes any time soon, but because I am running the Genesis Framework, I can easily switch child themes at any time for a relatively nominal amount of money. Remember, you only have to purchase the Genesis Framework once! Child themes that run on the Genesis Framework are easy to find and are affordable. You can also find fantastic child themes from Angie Makes, Etsy and Creative Market. Now let me say this, if you are feeling overwhelmed right now, that just means you are normal :) There's a lot of blogging terminology that may sound confusing right now. I know I was confused when I first got started! But trust me, I am not super techy and I figured it out. You will, too! First, I'd love for you to join my free Facebook group that is just for bloggers. It's called Blog Your Way to Freedom. You can click here and request to join now. I am also going to recommend one other investment that you make right now. And I know what you are thinking… “she wants me to spend MORE money right now?” Yep, I do. But only because I want you to be successful and because I want to eliminate as much of your frustration as possible. 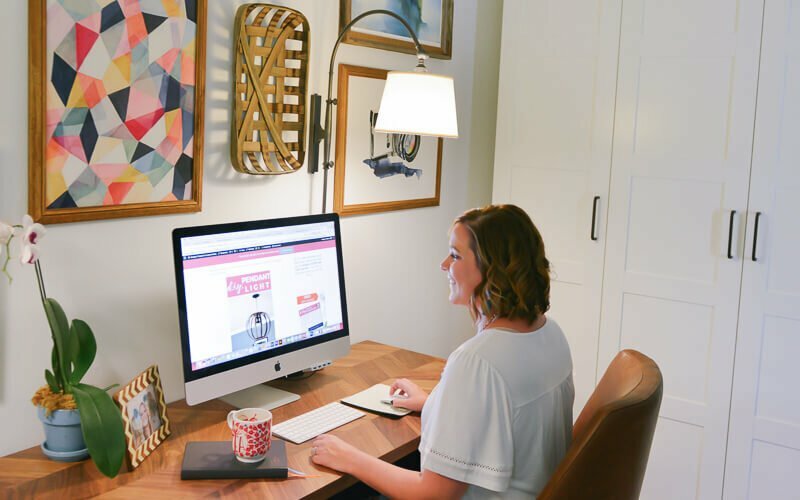 If you need more general guidance about blogging, themes, etc., I highly recommend that you check out my friend Abby Lawson’s comprehensive and affordable course that is perfect for new bloggers. It's called Building a Framework. 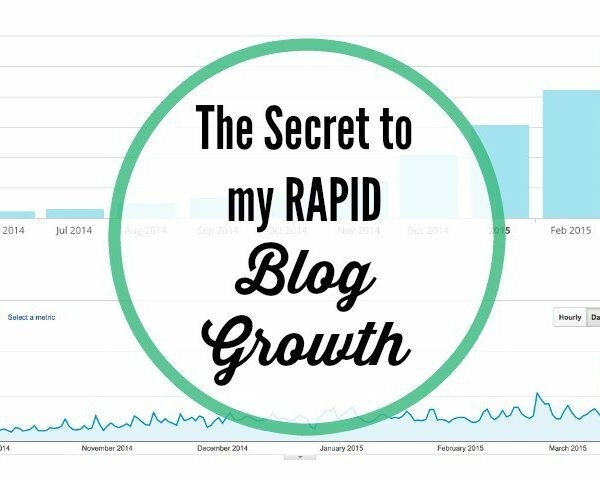 In it, Abby shares actionable strategies to start and grow your blog. It's not nearly as comprehensive as Elite Blog Academy (which I highly recommend if/when you decide you want to earn a full-time income from blogging), but Building a Framework is far less expensive and is available year round, where as Elite Blog Academy opens for enrollment only once a year. 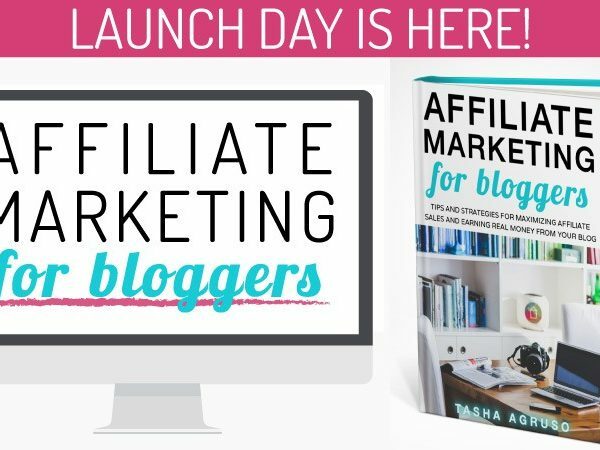 Affiliate Marketing for Bloggers THE COURSE is here! ← Should You Define Your Interior Design Style?